Warwick Arts Centre’s Spring 2019 Theatre programme is set to open next week with SOLO Fest, a four day festival celebrating the art of solo performance. 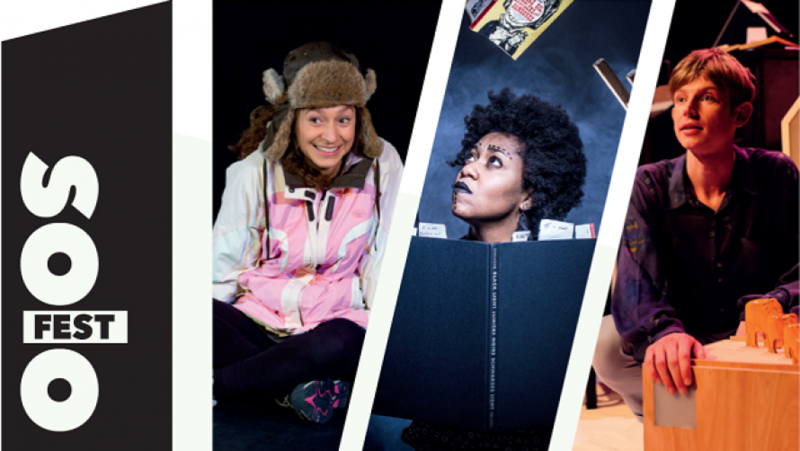 Featuring three captivating theatre shows by top young artists, the festival will also include a programme of free pop-up performances by local artists, and post-show talks. SOLO Fest features three of the best solo shows in the UK today, beginning with Tatty Hennessy’s “warm, witty and wonderful” (The Stage) A Hundred Words for Snow, starring Gemma Barnett as Rory. In this coming of age tale, Rory sets off on an expedition to take her Dad’s ashes on one last expedition to the North Pole, before her Mum finds out they’ve gone. Then Keisha Thompson explores the impact that mental health can have on the family dynamic in Man on the Moon, as she uses poetry and looped sounds in a journey through space and time, fuelled by love, fear and Afro-futurism. Then, Former Glastonbury Poetry Slam Champion Toby Thompson writes and stars in I Wish I Was a Mountain, featuring rhyme and live music in a re-imagining of Herman Hesse’s classic fairy tale, Faldum. After an overwhelming response to a call out for local performers, 12 have been selected to perform open mic slots during the festival, which are free to attend and begin at 6pm each evening. SOLO Fest is at Warwick Arts Centre Mon 4 – Thu 7 Feb. For the full line-up, and for tickets, click here.